Ebola virus disease is a serious, often fatal disease. It was first discovered in 1976 when there were two outbreaks – one in Sudan and the other in Congo, at the same time. People may contract Ebola through contact with bodily fluids of wild animals and the virus is then transmitted from person to person. The virus is also spread from human to human through contact with contaminated bodily fluids or by touching things contaminated with these fluids, such as bedding etc. The virus may be transmitted for weeks after the person has recovered or even when the body of a deceased Ebola patient is not handled correctly. 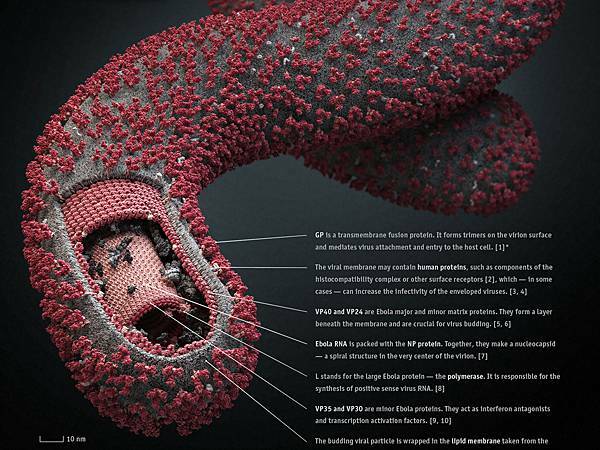 Ebola virus infection initially manifests itself through flu like symptoms. Patients may complain of muscle pain and headaches along with fever and sore throat. As infection progresses, there is often vomiting, diarrhea, internal bleeding and rash. Kidney and liver function may also be impaired. Currently, there is no licensed vaccine to cure Ebola virus infection, although two are being evaluated for use. Ebola patients are provided symptomatic treatment to make them more comfortable while the infection takes its course. The world has been riveted to news on the ebola virus disease. While the outbreak started in West Africa, cases are being reported outside as health workers and other people travel from there to other places in the world. In the latest news, a UN employee who was stationed in Liberia and was infected by Ebola, died in St Georg Hospital, Germany. The man, who was originally from Sudan, was on experimental drugs but could not make it. He was the second member of the UN team stationed in Liberia to succumb to the disease. As a result of the danger of spreading Ebola virus disease, officials in the UK have decided to screen passengers arriving at Heathrow Terminal I for temperature anomalies, starting October 14. However, there is some skepticism about the efficiency of the process and concerns that passengers from other zones will not be tested. Passengers will also fill out a medical risk questionnaire, including questions like recent travel history, contact with Ebola patients and current health. People identified as being at risk of Ebola virus disease are given contact information for Public Health England and are requested to get in touch if they develop any of the symptoms similar to those of Ebola virus infection. Meanwhile, in the US, Texas Health Presbyterian Hospital Dallas, is in the spotlight for having two Ebola patients in the past month. Criticism has still not died down about releasing patient Duncan after his initial visit to the hospital after given some antibiotics and Tylenol. He was checked in some days later when his symptoms worsened and died in the hospital. Later, his records showed that his symptoms were more severe than first presented to the media after his release. Soon after, a nurse in the same hospital also developed symptoms of Ebola, despite wearing protective gloves, mask and gown. This has resulted in a lot of anxiety about how equipped the US is for dealing with a potential Ebola outbreak. As a result, CDC is getting a lot of flak for its strategies for handling Ebola virus in the US.